According to the circular, now the charge will be 100 rupees for the successful generation of the base. 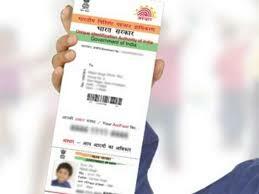 Compulsory biometric updation (for 5/15 years) will also be charge 100 rupees. Biomaterials include a fingerprint and a scan of the pupil of the eye. The owner of the machine should be the registrar. Supervisor and Verifiers must have an application for the registrar. The operator registrar should have regular or contractual information. Or it should be honored by the Manpower Hiring Agency / Improved by UIDAI. Until January 1, the charge services were to be given only 30 rupees including 18 percent GST for the services. These services include updation of biometric details of adults, updation of demographic details.